I’m not super into bright colors, but I also very rarely wear only black and white, like in this outfit. For this reason, I thought it would be fun to step out of my comfort zone and experiment with this combination. 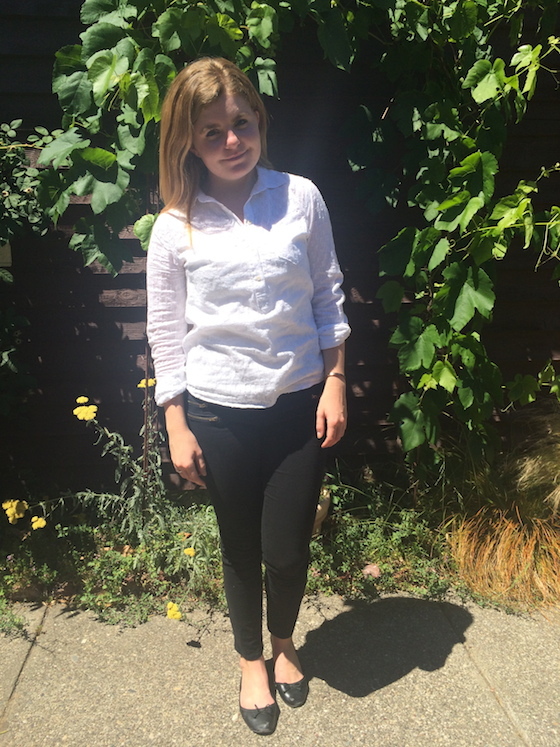 I like how the crisp white blouse, straight black jeans, and classic flats feel very streamlined. Also, I feel like I could comfortably wear this outfit pretty much anywhere! Next up: finding a few colorful accessories to add a pop of interest – maybe a scarf or bright necklace?